I Love Cloth Dolls and Cloth Crafts. : "Waiting for Inspiration"
I have been away for a trip to Mackay Qld to visit my Dad in hospital. hopefully not the last time I see Him before He passes. I had the great pleasure to meet one of my blog followers Elizabeth while in Mackay. it was so very nice to meet Her in person, keep up the good craft Elizabeth.. So I am home now and waiting for inspiration to come...I know if I keep myself busy I can not dwell on the situation. What inspires Me? well looking at all the lovely things people are making and all the gorgeous fabrics out there in Blogland. I love Teapots and Teacups so I am thinking about that at the moment...what to make...what to make. we are in the middle of school holidays at the moment and so my time is MINE again and I should be able to spend a good amount of time in the sewing room. just waiting for inspiration to come. I will keep you all updated on the progress of my week. Sorry to hear about your dad! I can understand how you feel!! The inspiration will come soon and will help you in this moments!!! I know too well how tough these times are but you will come through it and your creativity will keep you occupied - looking forward to seeing what you make. 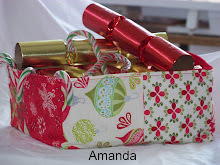 Hi Amanda, it was so nice to meet you , to see another like minded crafter and blogger, having known them thru this medium is a thrill. It makes the world seem so small, and you feel so close to some one when next you see them in their blog, dont you think? I was just thinking about inspiration too, and have found a good article , which I will be blogging about, which may help us all. Keep up your lovely work, it all enhances your life.